Sugar production in Ukraine in 2016/17 agricultural year (September-August) increased by 40.5%, to 2.008 million tonnes compared to the previous season, the national sugar producers association Ukrtsukor has said. According to the report, 42 sugar refineries refined 13.66 million tonnes of sugar beets. The association said that this year was favorable for Ukrainian sugar producers. 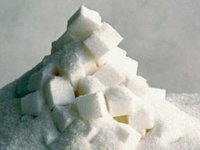 Due to bad harvest in Brazil and India and the favorable situation on the global market, Ukrainian producers managed to supply almost 470,000 tonnes of sugar to foreign markets, mainly to Sri Lanka, Georgia and Tunisia. "Taking this into consideration, according to our projections areas planted with beets would expand in 2017 and the share of sugar beets of total planted areas would return to the previous indicators. There is confirmed information from large producers that areas planted with sugar beets are expanded," the association said. As reported, referring to Ukrtsukor, Ukraine in 2015/16 agri-year exported 113,000 tonnes of sugar and this was 3% more than a year ago.